Meet Sheffield Carpet Cleaning expert Allan Simmons Jnr. Me and my team have been making carpets cleaner in Sheffield since 1988. We’re a local family run carpet cleaners based in Sheffield. Run by myself and my mother we have been established as carpet cleaners in Sheffield since 1988. We know you have a choice of which Sheffield carpet cleaner to invite into your home or business premises, and it can be a worrying decision who to trust. As every job is slightly different, and we don’t just clean everything the same way, we prefer to visit and provide a totally free of charge, and without any obligation quotation. This means no nasty ‘extra charges’ when we actually arrive to clean, a tactic often used by ‘cheaper’ companies and highlighted on BBC Watchdog . All of our team have been ‘fully vetted’ and had in-depth DBS checks, for your peace of mind. We’ll chat with you about your needs and discuss any particular concerns you may have and leave you with a fixed price quotation. Our knowledgeable team are not paid on a commission basis, so you can be sure there are no high-pressure sales tactics, and no hidden extras. Most of the work we do is for previously delighted clients and the people they refer to us, we’d love you to become a regular client too. But don’t just take our word for it. We leave every client a brief questionnaire and Freepost envelope to send it back in (or you can leave a comment directly on our website). Take a look at a sample of the comments we’re received recently. I have to be honest with you, we’re not going to be the cheapest Sheffield carpet cleaning company you could use to clean your valuable furnishings. If you are just looking for the cheapest then we respectfully ask that you call someone else. If you’re looking to use a company that uses the correct, safe cleaning solutions, invests heavily in regular update training for everyone, uses the best equipment available and has thousands of delighted clients already in the area then we’d be delighted to hear from you. We’re a locally owned and operated family business. All our team are local people, live in the area and take a personal pride in a job well done. We’re trained to some of the highest standards in the industry. Some cleaners claim our technicians are just ‘hired help’. They’re far from that, in fact, all our technicians receive more update training annually than most ‘one man bands’ EVER receive as we have to meet the standards, and the number of hours training, set by the external accreditation standards we hold. This means you can be sure we know what we’re doing, and your valuable furnishings are in safe hands. 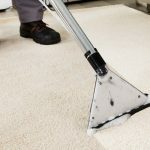 In fact, they’re probably the most qualified carpet cleaners in Sheffield, trained and certified by both the NCCA (National Carpet Cleaners Association) and the Woolsafe Organisation. We’re also proud to be the only Trustmark Government standards approved Carpet Cleaner based in Sheffield. 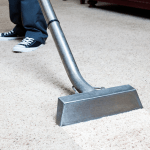 Sheffield Clean & Dry – Carpet & Upholstery cleaning experts.